The High Representative has visited today the Prefect of the Congregation for Oriental Churches, Archbishop Leonardo Sandri. Mrs. Kader brought to His Eminence the greetings of President Barzani and the Prime Minister, updating him on the current situation in the Kurdistan Region, evolutions in the liberation process of the city of Mosul and relations with Baghdad. As for the various religious minorities in Iraq, Sunni and Shiite clashes continue, Christians, mostly refugees in the Kurdistan Region, want to be protected by the Kurdish government which provides them more stability, as the other minorities. In addition to the ongoing humanitarian crisis for nearly two million refugees and displaced persons, there is an evident problem of reconstruction of villages and systematic mine-clearing operations. Finally, Mrs. Kader renewed to Mgr Sandri the invitation for the Holy Father to visit the Kurdistan region, as the Kurdish people need HIs presence on the ground, to feel strong His support, and to believe in a future of peace and brotherhood. 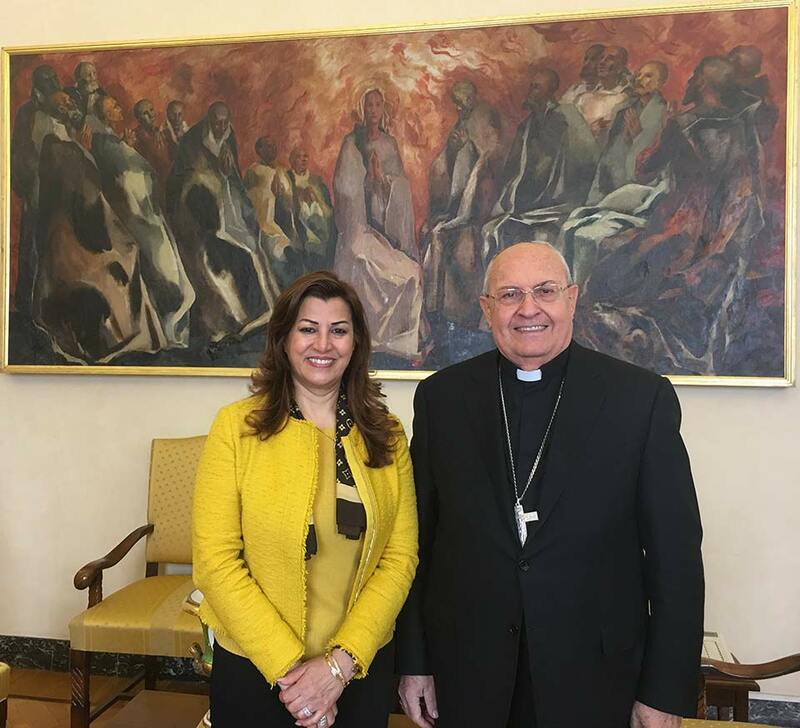 Archbishop Sandri, leaving soon with the Holy Father for Egypt, has guaranteed that he will do as much in his capacity to support such an important request.